Christmas means a lot of different things to people, so it's no wonder that many people like different types of Christmas music. Last year I put together a list of my friend's favorite Christmas albums, and as expected it was diverse (everything from Diane Krall, Alabama, Bing Crosby, N'Sync, Johnny Mathis, Tran-Siberian Orchestra, Chris Tomlin, Sister Hazel, and The Carpenters). 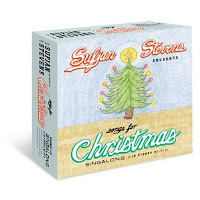 But an album, or rather collection, that wasn't mentioned in the post or comments was the Sufjan Steven's collection Songs for Christmas. This collection of 5 albums has really been a gem for me this holiday season. 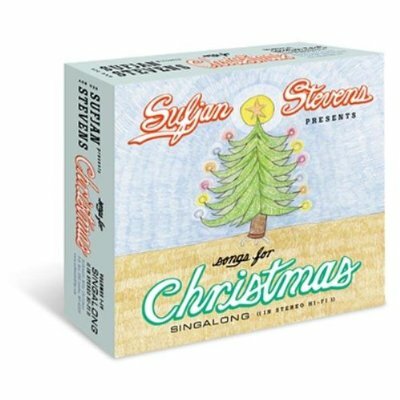 I generally enjoy the music of Sufjan Stevens, but something magical happens on this Christmas album. Perhaps it's the combination of the sacred and secular in a way that is seamless while maintaining musical creativity all at the same time makes this so favorite. Even hymns like "Come Thou Fount Of Every Blessing" show up on this CD, but only after following a uniquely memorable song I've enjoyed called "Put the Lights on the Tree." With 42 exceptional tracks on these 5 cds, this album, Songs for Christmas, is by far a favorite of mine this holiday season. What music have you been enjoying this holiday season?